The transition from a pediatric-based healthcare system to a more traditional adult-based health model for adolescents and adults with cerebral palsy can be quite a daunting challenge. Most fields of adult medicine are not exposed to many patients with childhood onset disabilities. Although the technical aspects of orthopedic surgery do not differ significantly from pediatric to adult care, the judgment involved in the care of patients with cerebral palsy and overall skill in treating them with respect and dignity are both aspects of care that are not easily translated from the pediatric to the adult environment. 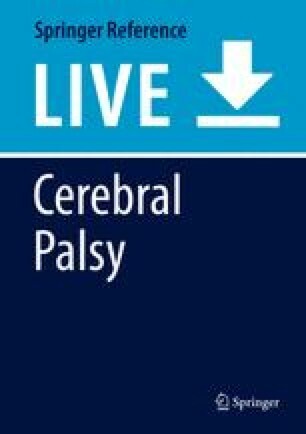 This chapter will discuss some of the reasons why an adult with CP will seek out orthopedic surgical care and will highlight the most common surgical procedures that adults with cerebral palsy may require. The pathophysiology of spine, hip, knee, lower extremity, and foot and ankle will all be discussed in detail with particular attention to the trajectory of musculoskeletal issues from childhood to adulthood of patients with CP. Specific surgical procedures will be discussed, as well as what particular providers and what particular hospitals should perform these procedures in this unique patient population.